People, people, people. Do I have a treat for you. 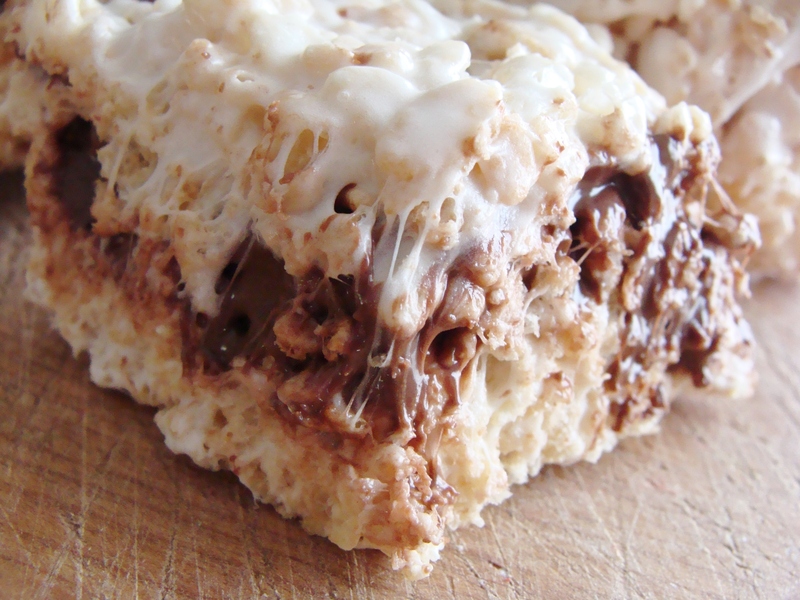 NUTELLA STUFFED RICE KRISPIE TREATS! Yes, I said it. Yes, I love Nutella. 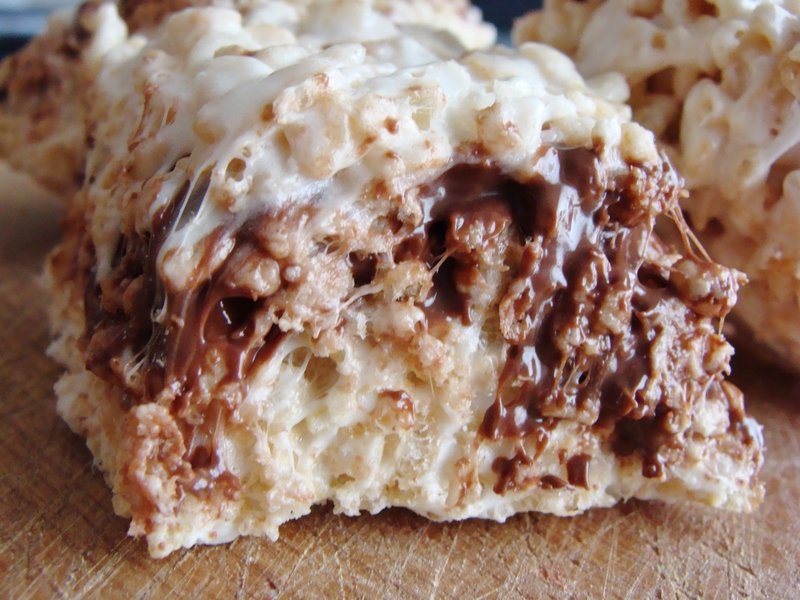 Yes, Rice Krispie treats stuffed with Nutella are as awesome as they sound. These treats are relatively easy to make, requiring just a few ingredients. I whipped a test batch up on Thanksgiving morning and they were a hit! Will definitely be making these again (and again) this holiday season. Set out two 9 by 13 inch baking dishes. Lightly grease with PAM or non-stick spray. In a large, non-stick pot, melt butter over medium heat, until just browned. You will see the butter melt and foam first, then it will start to brown on the bottom. As you see the butter start to brown, turn off the heat and add your marshmallows. Give the mixture a thorough stir to coat the marshmallows, then return the pot to low heat. 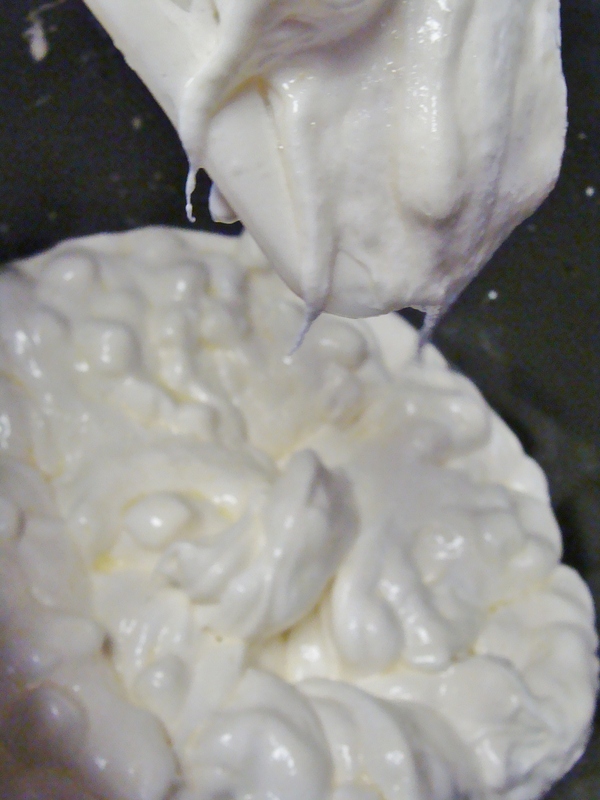 Continue to stir the marshmallows for 5 minutes, until they are completely melted and smooth. At this point, add your vanilla extract and stir. Once marshmallows are melted, it’s time to add the Rice Krispies! 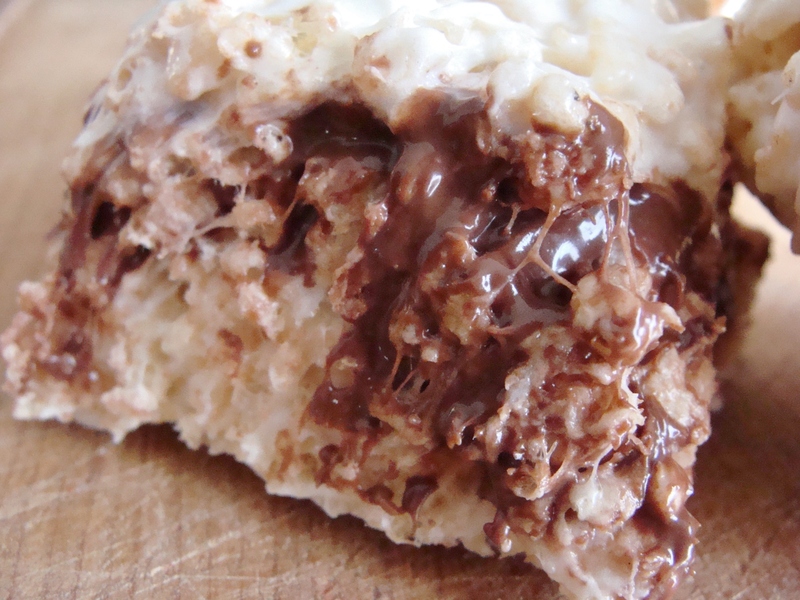 Make sure the Krispies are completely coated in marshmallows. You will essentially divide the Rice Krispies mixture into 2 parts – 2/3 will go into one 9 by 13 inch pan, and 1/3 will go in another. Press 2/3 of the mixture into the first pan, gently pushing it down to completely fill the bottom of the pan. Press the other 1/3 into the second pan—it will not fully cover the bottom of the pan. That’s OK! 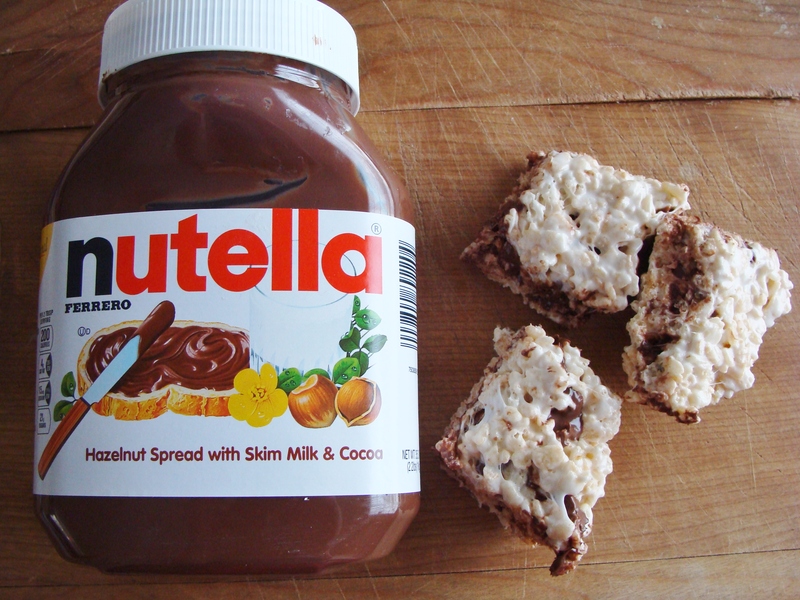 Now, spread the 1 and ½ cups of Nutella on top of the Rice Krispies in the first pan (which contains 2/3 of the mixture). I used a small spatula to spread the Nutella. Let both pans sit for 2-3 minutes, just enough time for the smaller amount of Krispies in the second pan to firm. Using your hands, carefully pull the Krispie mixture out of the pan, and lay it over the layer of Nutella in the first pan. Press down! Let the treats sit for an hour at room temperature before serving. Tip: I used a pizza roller to cut the treats into small squares. I also advise making these to share – otherwise the temptation to eat them all will overwhelm you. One last look… I can’t help myself. § 3 Responses to nutella-stuffed rice krispie treats. « crispy buffalo chicken salad. 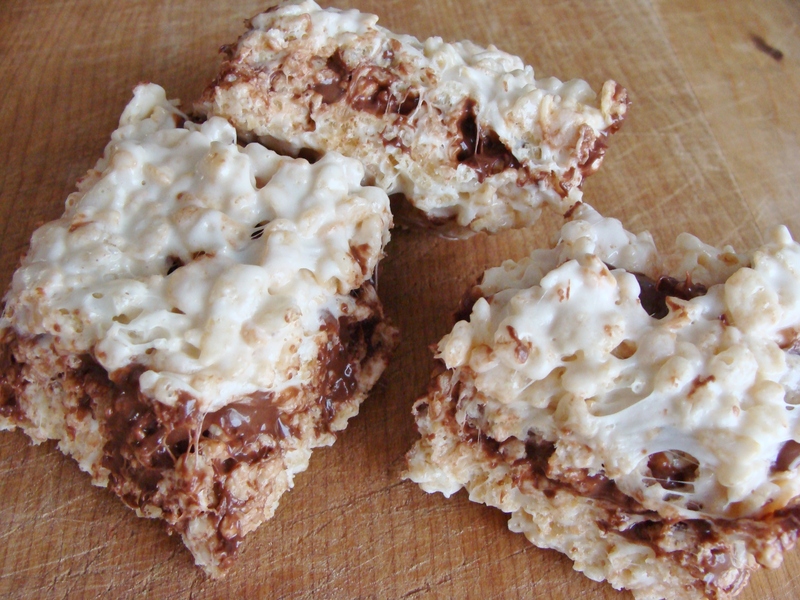 You are currently reading nutella-stuffed rice krispie treats. at The Cheesy Kitchen.